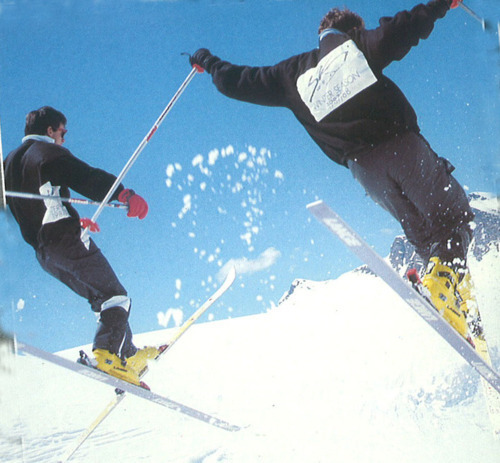 This ski season, we are celebrating our 25th birthday. 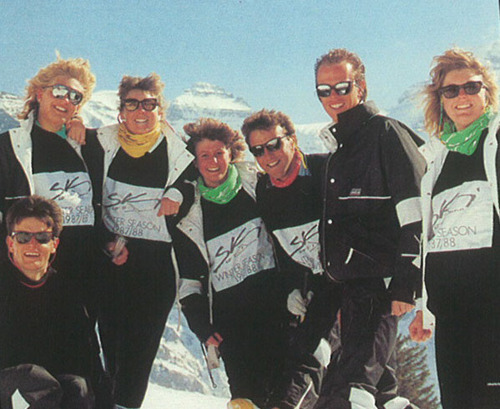 Here our founder, Andrew Dunn, takes a nostalgic look back at Ski Scott Dunn’s (as it was then) first ski season in Champéry in the winter of 1986-87 and how the luxury ski experience has changed over the years. It all started in 1986, after I visited my sister in Verbier where she was working as a chalet host and instantly fell in love with skiing. But as a strapped for cash University student I could only afford an afternoon ski pass, so I helped my sister out in her chalet each morning and decided everything could be done infinitely better. So I decided if I wanted to ski for free – I had better set up my own ski company. 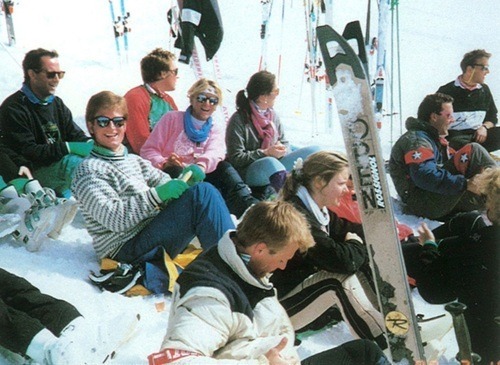 First of all, I decided that Portes du Soleil was the place to set up – it was connected to one of the largest linked ski areas and as a 21 year old there was no hope that I could break in to the Courchevel 1850’s of this world. Then I had to find a ski chalet – and I ended up finding two, Clairs Matin and Coccinelle in Champéry. My parents were immensely helpful, my mother lent me her Peugeot 205 which I drove all the way to Champéry and systematically went through all the chalet owners in the resort until I found one prepared to rent one to me. One of the chalets was Clairs Matin, located half way up the side of a mountain. Here was where I made a slight error of judgment. I’d originally looked around the property in the summer not taking into account how it would be affected in winter and the snow. What I’d failed to realise is that it was up a goat track, there was no direct access from the road above and above all it was very, very steep. So steep in fact that I had to issue guests with snow chains to get up the hill! Luckily, we had a very fit Canadian chap who helped cart the luggage down from the road above. 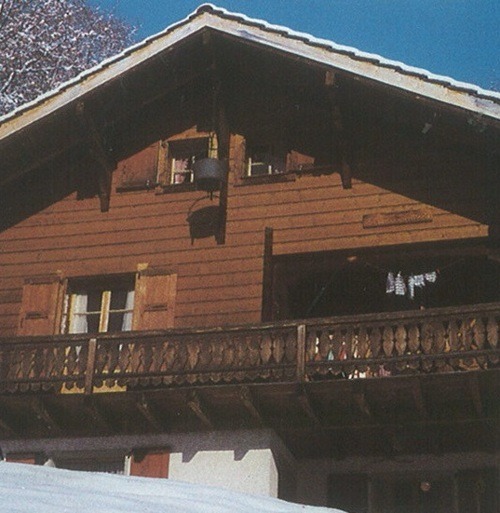 It was awful – and when I look back – laughing now – it was an utterly impractical way to run a chalet! I was utterly ripped off on one of those two first chalets – I paid 25,000 Swiss francs, which back in 1986 was a small fortune – but I was so determined to get the business up and running. Let’s just say I certainly learned some very valuable business lessons very early on. The next step was I had to assemble a team. I remember buying a Peugeot 505 – a seven-seater to do the airport transfers – in those days I was doing up to 3 airport runs a day – and a Land Rover. 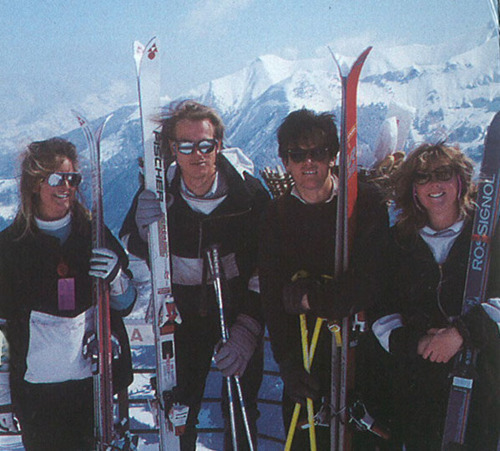 We had a fantastic small team in that first year which consisted of a group of my friends; Annie Hammond, who was a very good cook, Simon Maxwell was our ski guide and Tania and Claire our chalet girls. I pretty much did everything else, backup chef, backup guide, all the accounts and bookings. We all slept in dreadful basic digs, a place we called the Barracks, because that what it was like, literally a shed with a tin roof. It took all day for the tank to fill with hot water, so I had to organize staff showers standing outside, allotting just 2 minutes each before you had to get out! Chalets in the 1980s were pretty terrible and the experience was dire; bad food, bad wine; bad service. From the beginning I wanted to try and make a difference compared with what was already out there, using innovative thinking and very simple ideas, and people liked it. In my trusted Land Rover, I drove an entire seasons worth of bacon over from the UK so we could offer guests a decent full English. We also brought over proper duvets for the bedrooms, rather than blankets, and dozens of electric footspas so guests could soak their feet after skiing – the vibration from these footspas made the entire chalet rattle! The very early years were all about running about looking after our guests, thinking before they did. It was these early experiences that our ethos stems from – that nothing is too much trouble. After the first few years, it was then I had to make a decision; was I to become a ski bum or was I going to turn what we’d begun into a proper business. I think I made the right decision and set up in my mother’s downstairs bedroom to set up the office. Over the past 25 years, the whole chalet concept has changed immensely. When we started out everyone shared – bedrooms and bathrooms. Then after a few years, suddenly the buzz-word was ‘en suite’ – to have your own bathroom in a chalet was considered the height of luxury and 6 years after we started, every room needed to have its own private bathroom. Fast forward a decade and it was all about saunas, then gradually hot tubs. Before you knew it chalets had private pools. Then finally you come to chalets such as Le Rocher and Artemis with their own wellness areas to die for. Very quickly, we introduced professional chefs into our chalets focusing on the gourmet experience, the wine and champagnes. We also had fantastic mountain picnics for our guests. In the beginning we also had chalet girls. All guests were looked after by chalet girls when we started and we were nervous when we introduced boys. 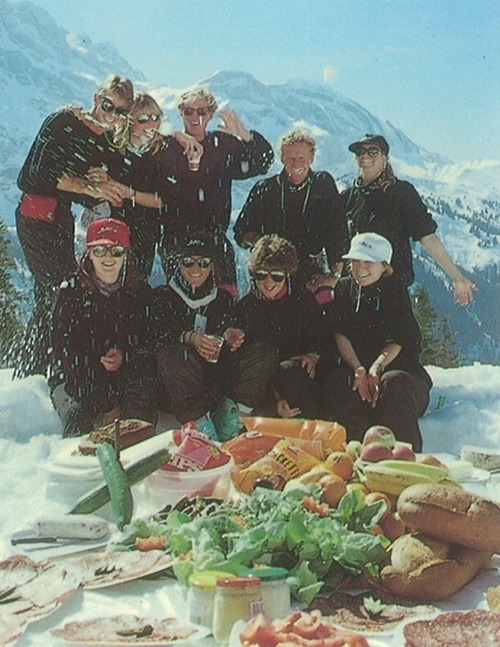 Now all our resort staff are hosts and experienced chefs, the term chalet girl no longer exists at Scott Dunn. Over the years ‘luxury’ has evolved as a state of mind. Before to even go on a ski vacation was the luxury – then later it was all about the chalet experience itself. It’s been a progression, an evolution in the past 25 years. 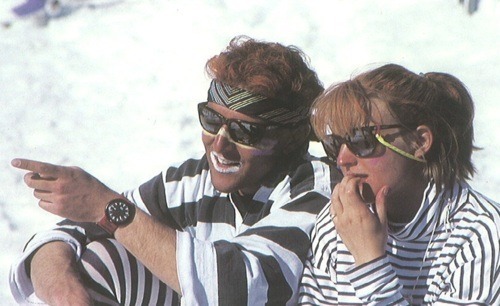 And the 1980s – any ski wardrobe disasters? Clothing – thankfully I never did all in ones back in the eighties – so there are no embarrassing pictures! But we did all wear face paint, bright florescent zinc paint – greens, pink and white under the eyes like war paint! 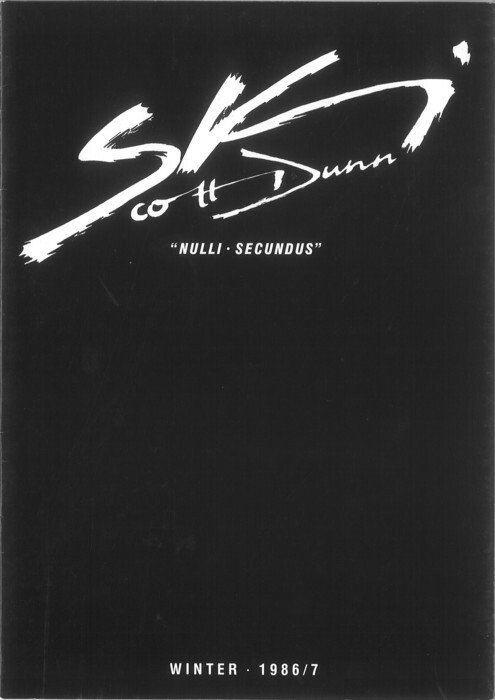 Happy Birthday Scott Dunn and here’s to another 25 years!